Photograph by Wilson Webb ©2017 TriStar Pictures, Inc. and MRC II Distribution Company L.P. All Rights Reserved..
For years, Atlanta has been a cinematic stand-in. We’ve seen Woodruff Park transformed into 1970s New York, the Pullman Yards join Panem, the Gulch enter the Marvel universe, and downtown streets and exit ramps host Fast after Furious chase. 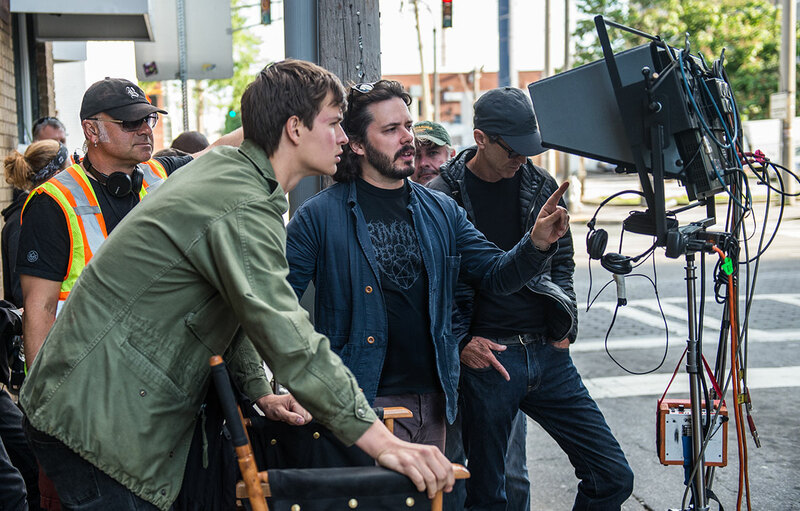 While Georgia’s generous film tax breaks lured many movies from L.A. to the ATL, director Edgar Wright made another economical move for Baby Driver—skipping pretext entirely and literally retro-scripting his crime caper to make it set in Atlanta. No pesky faux street signs or rented LAPD cars. I’ve seen Baby Driver twice and each time Wright’s treatment reminded me less of a love letter than the time I saw Prairie Home Companion at the Fox Theatre and Garrison Keillor’s monologue was peppered with hackneyed “Peachtrees” and “Y’alls” and references to the humidity and the Big Chicken. Don’t get me wrong—the movie deserves its glowing reviews and big box office. Just as he did in Shaun of the Dead and Scott Pilgrim vs. the World, Wright renders over-the-top action impeccably. So why not pay a little more attention to the details about Atlanta? I’m not hung up on the fast and loose geography that allows Baby and crew to get from Dunwoody to Midtown in three minutes, or puts an Octane coffee near Georgia State. It’s a driving movie; a visual pun like Octane can’t be passed up. And there were only so many times the crew could shut down roads for filming—four freeways and 40 surface streets to be precise. Come back here! You can’t just idle downtown! Courtesy of TriStar Pictures ©2017 TriStar Pictures, Inc. and MRC II Distribution Company L.P. All Rights Reserved. How does Baby manage to idle on Peachtree Street and not get a ticket? Sure, the film’s opening heist scene is genius, but it all depends on Baby sitting in a cherry red Subaru WRX in the heart of downtown on a weekday without an Atlanta cop issuing a ticket or an irate Uber driver honking behind him. Why no races against MARTA or CSX trains? Atlanta is built on rail lines. In a flick centered on getting around, Baby Driver misses a huge opportunity for a chase on a MARTA rail, against a CSX train, heck, even a loop on the Hartsfield-Jackson plane train. And what about a streetcar snafu? With much of the action taking place in the heart of downtown, there should have been at least one case of Baby having to navigate around the Atlanta Streetcar, maybe stalled somewhere along Edgewood Avenue. Where did all those folks in Fairlie-Poplar come from? As Baby does his “Harlem Shuffle” moves around the Healey Building, he passes a central casting sampler pack of extras, jabbering on their phones, emoting, hailing a cab. Wait. No one hails a cab in Atlanta. You call Uber or schlep over to one of the hotels where the cabs queue up. And the street preacher is a white dude with both a sandwich board and a megaphone? On the other hand, where are the Peachtree Center convention hordes? The tacky tourist gear Baby swipes as he leads cops through Peachtree Center is realistic. What’s not? How easily he gets through the building. Where are the hordes of conventioneers in line at the Chick-fil-A? Would it have killed the filmmakers to throw in some Dragon Con attendees? They were only caught in “traffic” once? In only one scene does Baby encounter a little congestion on the Connector, and it’s not really that bad. Does anyone really dream of driving west on 20? Sorry Debora. Tuscaloosa is not the stuff of fantasy. Photograph by Wilson Webb © 2016 Columbia Pictures Industries, Inc. All Rights Reserved. Why is there an old-school diner in the middle of . . . somewhere . . . in intown Atlanta? Oh, right. Because this was going to be L.A. Maybe licensing kept Debora from waiting tables at Waffle House, but what about the Majestic? Also, if such a diner existed, it would either be occupied by old folks or hipsters, not empty. Why isn’t there more Atlanta music? And finally, why didn’t anyone tell Edgar Wright it’s not THE Buford Highway? 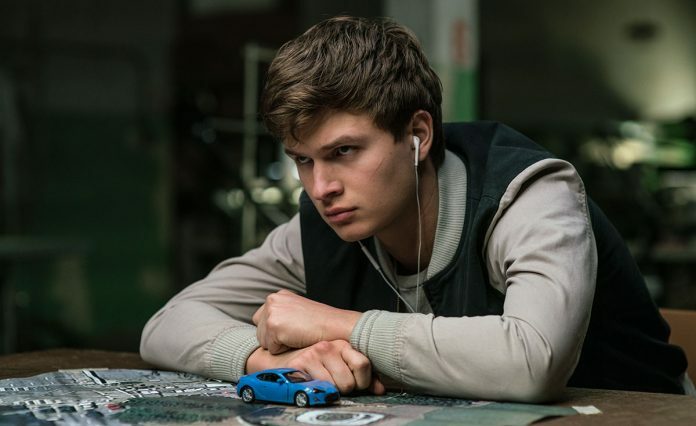 Here’s the easiest way to spot an Atlanta newcomer: If they tell you about commuting from “the 85 to the 285.” Baby Driver reportedly pumped $30 million into the metro economy. Not one of the thousands of workers felt they could speak up to point out that Atlantans don’t use that needless article when they refer to roads? When the bank heist of “Perimeter Trust” (which was accurately filmed outside of Perimeter Mall) involves an escape route down “the Buford Highway,” the Atlanta premise crashes. Edgar, you’re rocking a Criminal Records t-shirt but you don’t know not to say “the” Buford Highway? Come on . . . Photograph by Wilson Webb © 2017 TriStar Pictures, Inc. and MRC II Distribution Company L.P. All Rights Reserved. Rebecca Burns is the publisher of The Red & Black, the independent news organization that covers the University of Georgia, and an adjunct professor at the Grady College of Journalism and Mass Communication. Her two decades as an Atlanta journalist include seven years as editor-in-chief of Atlanta magazine.